OmniFocus 3 for Mac is a major new release that opens up a wide array of workflow possibilities. Learn how to make productive use of this new functionality. 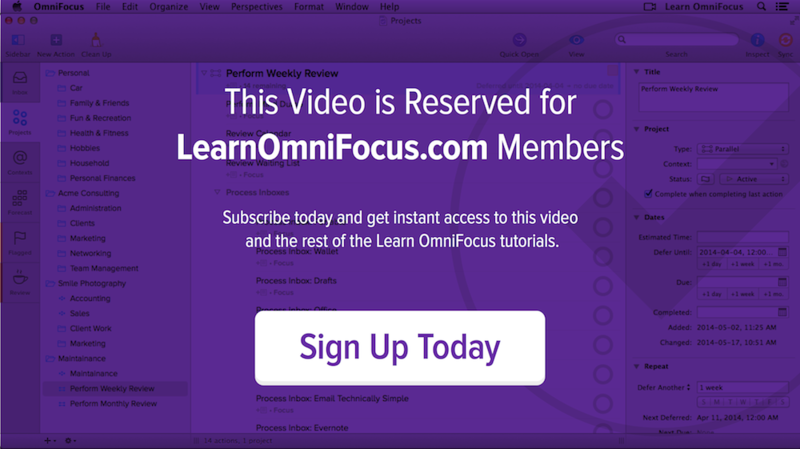 This session is all about making effective use of OmniFocus 3 on the Mac. It's an opportunity to learn about the new features and about best practices for using them most effectively. About the many ways that tags can be used to help you home in on the actions that are most relevant. About enhancements to the Forecast perspective. How to open calendar events in third-party apps (e.g. BusyCal and Fantastical). How to make productive use of the Forecast Tag. How to create advanced perspectives that will help make your workflows more efficient and convenient. How to make optimal use of the flexible repeat feature. 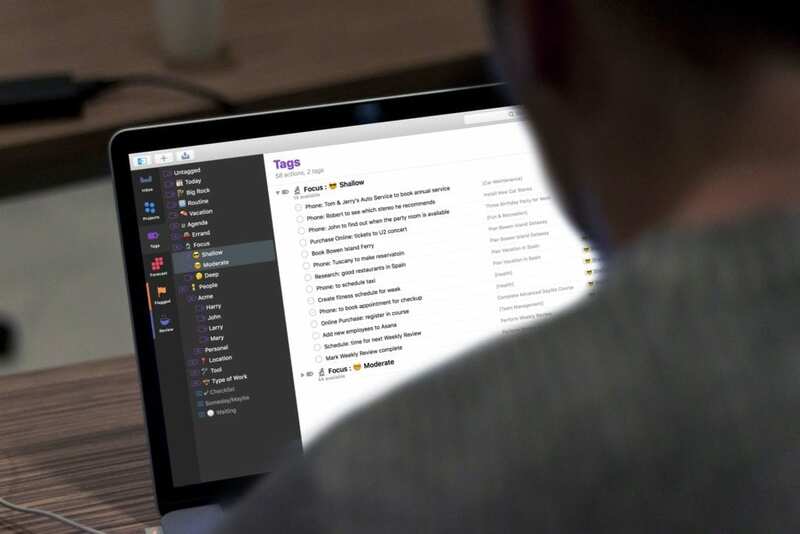 Making Productive Use of Tags in OmniFocus 3 — This in-depth guide documents the many ways that tags can be used to add ease and efficiency to your OmniFocus workflows. It covers the relationship between tags, projects, and folders (a common source of confusion), and how these organizational elements complement each other. Tags for OmniFocus 3 — A growing directory that showcases some of the many ways in which tags can be employed. Use these as a starting point and adapt them to accommodate your life and work. Custom Perspectives for OmniFocus 3 — Examples of some of the many ways that custom perspectives can be used to quickly and conveniently access the most relevant information from OmniFocus and help ensure that your database is up to date and relevant. Tapping Into the Power of OmniFocus 3 for iOS — A tour of major new features that were introduced with OmniFocus 3 for iOS.